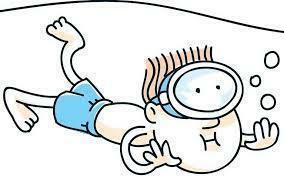 Please remember there is no swimming this week – Friday 15th May. Swimming will be back to normal next week. This term our topic is "Sports around the World" and as it suggests we are going to be learning about sports from all around the world. We are going to be completing a lot of geography work about our "Extreme World" for example, Extreme weather and Extreme Lives. This is also going to involve lots of sports activities and we are going to be receiving sports tuition from various coaches. We are going to be receiving tennis tuition and because of this our PE days are now Monday and Thursday. Spellings tests are completed on a Monday and it is expected that spellings homework is handed in then. You should be reading 5 times a week and this should be signed in your reading diary by an adult. Miss Lomas, who is a teaching Student, will be joining 5CJ to complete her final teaching practice. She will be teaching you for lots of your lessons with my support and once she has finished at St John's she will be a fully qualified teacher. I hope you will make her feel welcome and join me in supporting her during this time. If your parents have any questions they can speak to Miss Lomas and, of course, myself. Miss Lomas and I are EXTREMEly excited about this term and we hope you are too! Year 5 are going on a trip to Southwell Minster tomorrow (Friday 6th March). Be in school at 8:30am in order to leave on the bus by 8:45am. Bring a packed lunch in a carrier bag so that it can all go in the bin. Wear school uniform and bring a waterproof coat. If they suffer with travel sickness, have a travel sickness tablet in the morning before attending school and bring another sickness tablet with them to have prior to travelling home. If asthmatic, they will need to bring a labelled inhaler. We aim to be back at 3pm but we will send a text out if this changes. Welcome back, I hope you have all had a lovely Christmas and new year! I'm very excited about our topic this term of Invaders and Settlers which is going to include the Romans, Vikings and Anglo-Saxons. We are going to start our topic by learning all about the "Rotten Romans". We have lots of exciting activities planned and lots of different books to read and learn from. If you have any books or artifacts that you would to share with us, please feel free to bring them into class. Hello 5CJ and welcome back after a fantastic summer holiday! I am looking forward to getting my teeth stuck into my favourite topic in year 5....The Vile Victorians. 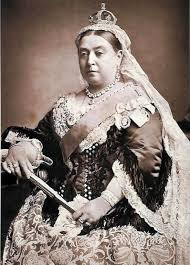 In this topic we learn all about queen Victoria and what happened during her reign. We learn about schooling, work and living standards during this time and this includes some vile facts! 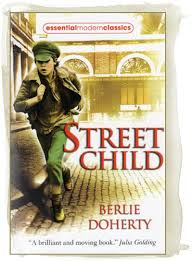 Our book this term is Street Child by Berlie Doherty where we learn about what life was like for a victorian child. This isn't just any Victorian child, this is Jim Jarvis and he has a big story to tell. As part of homework children are expected to read at least five times a week which should be recorded in their reading diary and signed at the end of the week by an adult. We have a reading chart within class which I use to monitor that everyone reads 5 times a week. The children that read 5 times, or more, revcieve a reward and those who read less are required to spend time reading during reading club at break or lunchtime. Also as part of their homework children are expected to learn and practice times tables and spellings and on top of that they will receive Numeracy, Literacy or research projects to complete. In year 5 we aim to help children and support them in becoming more independent learners in preparation for year 6 and beyond. We appreciate the support you give us to do that.